There's an ancient Lakota prophecy about a black snake that would slither across the land, desecrating the sacred sites and poisoning the water before destroying the Earth. For many Indigenous people gathered near the Standing Rock Sioux reservation, that snake has a name — the Dakota Access pipeline. There is an ancient Lakota prophecy about a black snake that would slither across the land, desecrating the sacred sites and poisoning the water before destroying the Earth. For many Indigenous people gathered near the Standing Rock Sioux reservation, that snake has a name — the Dakota Access pipeline. "There was a prophecy saying that there is a black snake above ground. And what do we see? We see black highways across the nation," said Dave Archambault, chairman of the reservation, which straddles North and South Dakota. "There's also a prophecy that when that black snake goes underground, it's going to be devastating to the Earth." That belief is why hundreds of people have gathered since April to pray in camps along the Missouri River. 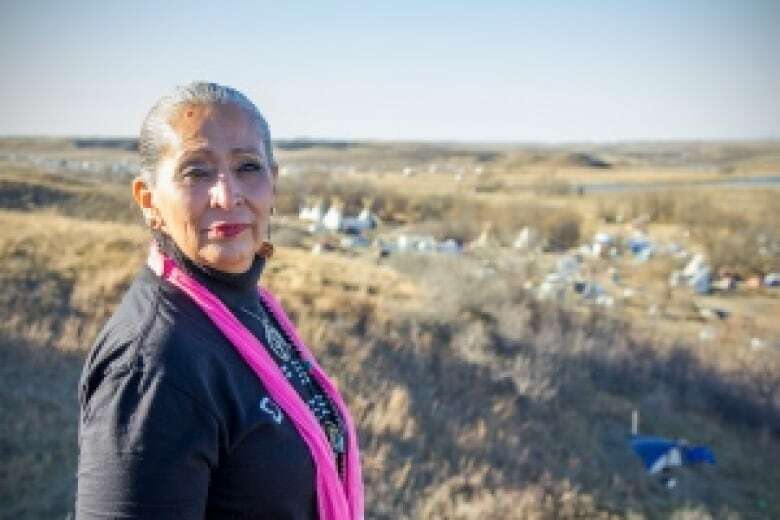 LaDonna Brave Bull Allard started the first camp, Sacred Stone, on her family's land near the reservation. "If you go around the camp, you'll see people in different ceremonies and prayers all day long," she told CBC News last Sunday. "It's about prayer." Her message was clear: "We must stand together and we must kill the black snake." Supporters of the cause have come from all around the country and even the world. 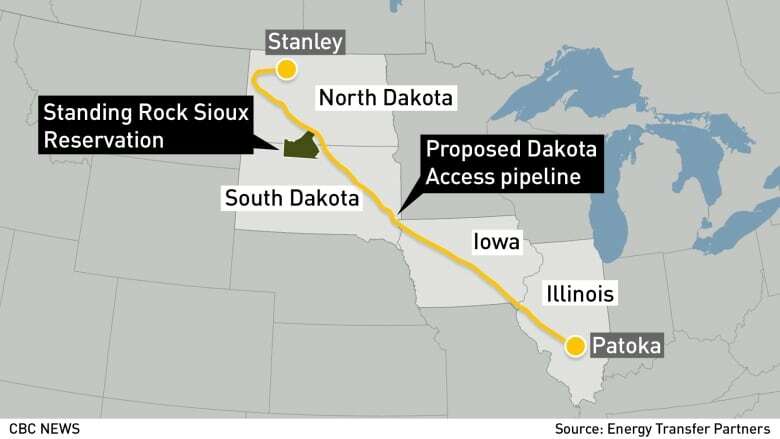 They're determined to stop the $3.7-billion US project that would transport an estimated 470,000 barrels of crude oil a day from North Dakota's Bakken region southeast through four states to Illinois. Its path would cross twice beneath the Missouri River, which supplies an estimated 17 million people with drinking water. 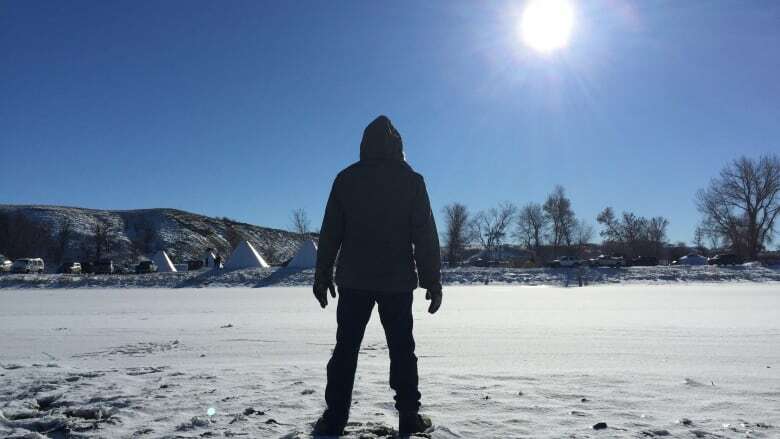 The campers received a big lift last Sunday, when the army announced it won't issue a permit for the pipeline company to tunnel under a Missouri River reservoir and will ask for more environmental studies and potential alternate routes. 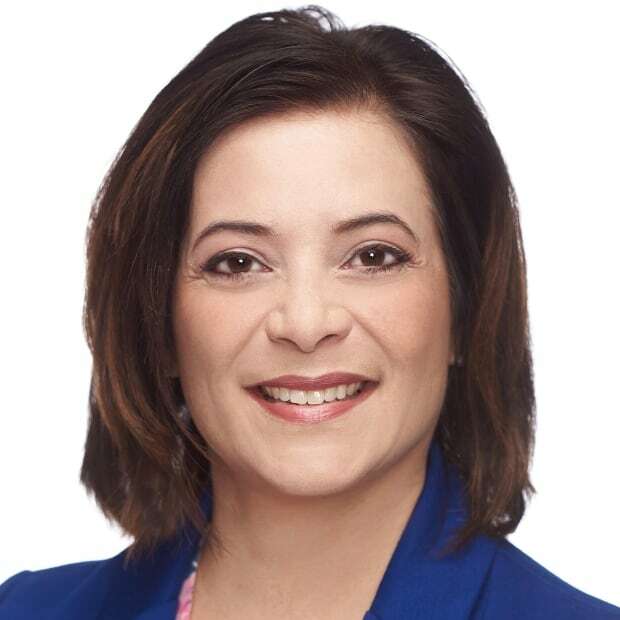 Lisa Greyshield, a member of the Washoe Tribe of Nevada and California and associate professor of educational psychology at New Mexico State University, was working as a medic in the main camp, called Oceti Sakowin, when CBC News visited last Sunday. There were ceremonies throughout the day and night at the Sacred Fires, which elders and Indigenous leaders lit when the camp opened in April. "This was opened up as a prayer to stop that black snake from coming in, to pray for the water," Greyshield said. "Earth, water, air, fire, all these elements are important in Indian country. The water is the lifeblood." There was a constant rhythm of drumming and singing and the smell of fires hanging in the air. "Every victory is an answer to prayer. That's why we're here," Greyshield said, pointing to signs and banners you can see everywhere around the camp that say, "Mni Wiconi — Water is Life." She said camp organizers provided orientation for newcomers and always stressed the prayer element of the movement. "We're water protectors and this is a peaceful gathering and it's about prayer and they've been very adamant about that. Not to escalate any of the violence." It's clear that many non-Indigenous people are taking their cues from the elders and respecting the traditional ways. But there have been more than 500 arrests, as well as violent clashes with police. There's been tension between groups that see different ways of achieving the same goal. Last Sunday afternoon, for example, just after the army's announcement, CBC News witnessed a confrontation between two groups of veterans. One group wanted to storm a bridge that local law enforcement had just vacated in an attempt to de-escalate the show of force, while the other was urging restraint. In the end, the veterans retreated. Many in the camps are convinced their prayers are the reason the army refused to issue the permit. But Dallas-based Energy Transfer Partners says it's unwilling to reroute the project. On Monday, the company filed new documents in court asking a judge to declare it already has a legal right-of-way to "construct, operate, and maintain an oil pipeline beneath federal land at Lake Oahe." Industry leaders are also urging president-elect Donald Trump to pave the way for the pipeline's completion after he's sworn in next month. Trump spokesman Jason Miller won't say if the new administration will reverse the decision, but he told The Associated Press it will review the situation "and make the appropriate determination." 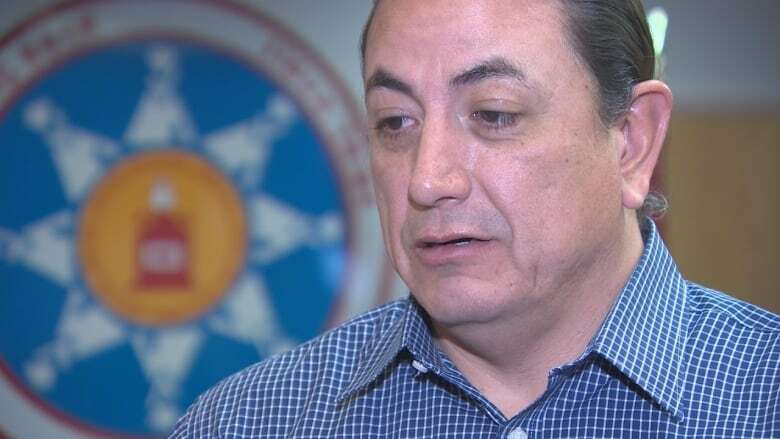 Standing Rock chairman Archambault says there are more challenges ahead. And he knows the world is watching. He has some advice for supporters everywhere. "When you use prayer, you can overcome anything," he told CBC News on Monday. "I believe that you follow your heart and if you know something is not right even though the law is the law, you have every right to stand up against it ... You will be heard, but I think it's important that you stay in prayer."